The issue of human rights in the context of Cuba–US relations has erupted once again on the eve of Obama’s visit to the island on March 21 and 22, 2016. In Geneva on March 2, the Deputy Secretary of State of the US State Department, Antony J. Blinken, issued the National Statement at the Human Rights Council. He dealt with several countries that are always the target of US accusations of supposed human rights violations, such as China, Russia and Venezuela. In Cuba, we are increasingly concerned about the government’s use of short-term detentions of peaceful activists, which reached record numbers in January. We call on the Cuban government to stop this tactic as a means of quelling peaceful protest. President Obama will make a historic visit to Cuba in a few weeks and will emphasize that the Cuban people are best served by an environment where people are free to choose their political parties and their leaders, express their ideas, and where civil society is independent and allowed to flourish. The head of the Cuban delegation to the Council, Pedro Núñez Mosquera, who is General Director of the Division on Multilateral Affairs and International Law at the Ministry of Foreign Affairs of Cuba, was not at all intimidated by the superpower. Since 1959, Cuba has had a history of defending its interests in all international forums. Cuba is a small country, but with a voice that is respected internationally. In Geneva, Núñez Mosquera turned the tables on the US by calling it out for the gross violations of human rights that the US itself is responsible for, including racial discrimination, police violence, persecution of immigrants and torture that takes place in the Guantánamo prison. In addition, he insisted, the US is responsible for violations of the human rights of the Cuban people because of the blockade against the island. Blinken’s statement on behalf of the Obama administration is notable for being yet another gross attempt at interfering in the internal affairs of Cuba. 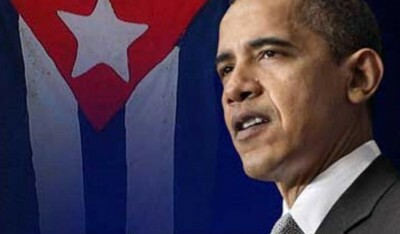 However, let us leave this aside for the moment and deal with his accusations against Cuba. He charges Cuba of temporarily arresting “peaceful activists” as part of a strategy of “quelling peaceful protest.” The term “peaceful” is arbitrary. In the US, for example, when African-Americans and their allies in the US revolt against police assassinations of African-Americans, they are called violent and are referred to as thugs. However, in January and February 2016, when armed right-wing individuals in Oregon occupied a federal agency, the government and media politely labelled the occupiers “protesters” and “militia.” The latter term “militia” provided legitimacy to these armed people. They were never categorized in any derogatory way as being violent. Turning south to Latin America, the same double standard applies. In the National Statement, the US State Department demands the release of two imprisoned pro-American individuals in Venezuela. It respectfully refers to them as “opposition leaders.” However, they were responsible for violent terrorist acts against the constitutional order in which 43 people were killed and over 800 injured. The US, therefore, is far from being a reference point in dealing with peaceful or violent protests. In the Cuban context, the individuals to which the US refers cannot be seen as merely “peaceful protesters.” Mainly, they are directly or indirectly paid mercenaries of the US. Their publicly stated goal is regime change in Cuba. The very essence of the objective is to smother the Cuban Revolution as the basis of Cuban sovereignty. This means turning Cuba once again into a de facto neo-colony of the US, making it safe for capitalism. Cuban independence, in turn, is the safeguard of the Cuban Revolution, whose mission is to strive continuously to develop and improve its socialism. Thus, the reactionary change that the “peaceful protesters” seek is a rupture from the Cuban constitutional order to satisfy US interests. Therefore, by its very nature, this goal is violent, as it translates into a breach from the road that the overwhelming majority of Cuba people have taken since 1959. Whether, at the time of their detention, these individuals were or were not violent is irrelevant. Cuba has every right to defend itself from the coordinated efforts of the US-funded “opposition” and mainstream media to foment regime change in Cuba. The Blinken Statement also highlights one of the goals of Obama’s March 21 and 22 visit to Cuba, that being to emphasize “that people are free to choose their political parties and their leaders.” The US is blinded by the US-centric notion of political parties and elections. The US has its “multi-party” political system and the Cubans have an altogether different system. The Cuban process resulted from the Revolution. An essential feature of this Revolution stems from the tradition emerging out of the second half of the 19th-century revolutionary wars of independence against the Spanish colonizers. An essential ingredient was – and is – the need for one unifying political force to lead the Revolution. The Communist Party of Cuba was born out of the combined political forces that were sacrificing their lives to defeat the bloody, US-backed Batista dictatorship in the 1950s. The Cubans chose their leading political force and indeed their leaders during the 1950s until the Triumph of the Revolution in 1959. Furthermore, in that period and since, millions of Cubans have chosen to be part of that Revolution, rather than to stand on the sidelines “choosing leaders” according to some preconceived-US notion of leadership. The role of this unifying political force is entrenched in the Cuban Constitution, which people at the grass roots contributed to drafting. In 1976, in a referendum on the Constitution, 98% of the electorate voted and, of those voters, 97.7% approved of the Constitution. The Cuban political system also affords other formal legal channels so that Cubans can vote for their leaders. Once again, it does not conform to the US-centric notion. Cuba is not based on the presidential system as it exists in the US and other countries. Let us take the example of Raúl Castro based on a very summary description of some of the steps leading to his election as President of the Councils of State and Ministers. In the last 2013 general elections, he was elected as Deputy to the Cuban National Assembly of People’s Power (Parliament) from a municipality in his home province of Santiago de Cuba. While there is only one candidate per seat, a candidate needs at least 50% of the popular vote. In the 2013 general elections, Raúl Castro garnered 98.04% of the vote. This was one of the highest among the 612 Deputies who were elected. Once the elections are over, in order to elect leaders, the Deputies have their input on an individual basis and in private. Resulting from this consultation, a list of candidates to the Council of State, including the President of this body, is drawn up. The newly elected legislature meets, as it did, for example, on February 24, 2013. It chooses among the Deputies in a secret ballot vote. It is beyond the scope of this article to cover more of the details and analysis of how this and the general elections occur. However, this is how Raúl Castro was elected as President of the Council of State (and therefore also of the Council of Ministers). This role is carried out as a function of being a member of these collegial and collectives Councils. These bodies are in turn accountable to Parliament. Furthermore, a country that has forged itself in Revolution has its own standards on leaders. Let us take another example. Fidel Castro is known as the Historical Leader of the Cuban Revolution. In the Preamble to the Constitution approved by the population, the Magna Carta recognizes the “leadership of Fidel Castro.” Whether it is in the Constitution or not, the fact is that he is the Historical Leader of the Cuban Revolution and is recognized as such by the overwhelming majority of Cuban people. These cursory facts regarding Cuba’s leaders do not seem to be of interest to the US ruling circles. In any case, Washington’s ideological/political pressure for people choosing their leaders is arbitrary. For example, from a superficial standpoint, one can say that Venezuela, Bolivia and Ecuador all have “presidential systems.” Nevertheless, the US does not really recognize as presidents the directly elected leaders, including Nicolás Maduro, Evo Morales and Rafael Correa. Rather, the US is continuously engaged in regime change in Venezuela, Bolivia and Ecuador to overthrow these elected leaders and everything they stand for. The US thus has an erratic stand with regards to leaders that is manipulated to serve its own purposes. In Geneva, the US also rolled out its requirement for Cuba that “civil society needs to be independent.” The US, according to its own formula and in the context of Obama’s upcoming visit to Cuba, recognizes the “members of civil society, including those who certainly oppose the Cuban government’s policies.” One could ask the US, if it succeeds in further winning over those individuals to US policy, which is a foregone conclusion, is it not a fact that they will no longer be independent? On the contrary, they will be even more dependent on the US than they were before Obama’s visit. According to the US, if Cuban civil society works in harmony with the Cuban political process, then they are not independent. However, if they act in accord with the US, they receive bona fide credentials as being independent. The necessity to ideologically and politically revamp the political system is part of their life-and-death struggle to bring about transformations in Cuba’s socioeconomic system despite the crippling US blockade and other factors that are domestic in nature. This is, and will be, Cuba’s own path. Arnold August, a Canadian journalist and lecturer, is the author of Democracy in Cuba and the 1997–98 Elections and, more recently, Cuba and Its Neighbours: Democracy in Motion. Cuba’s neighbours under consideration are the on the one hand the US and on the other hand Venezuela, Bolivia and Ecuador. Arnold can be followed on Twitter @Arnold_August.